In my quest to create working switch stands that I can operate I have been a bit stymied and have decided to compromise. 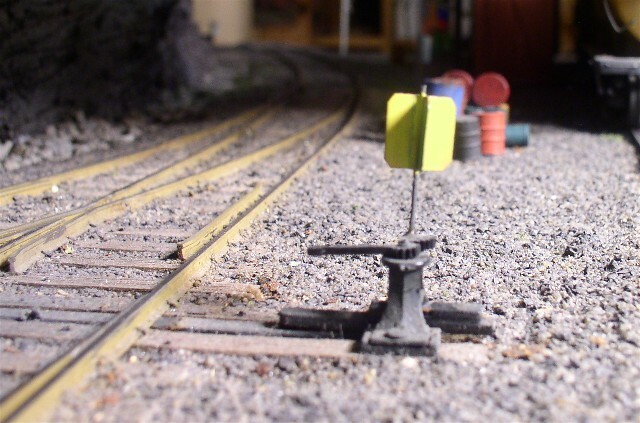 While that sounds like I am abandoning prototype modeling, I find these kinds of compromise necessary when involved in the total effort to build a working railroad as opposed to a diorama. Here is what the prototype stand looks like. Years ago I had several stands by an unknown manufacturer. They were operating, and if still available today, I think they are the closest to what I want. I just cannot find them. There are several choices still around. One is the Selley but it is non-working, although it could be made into a working stand. 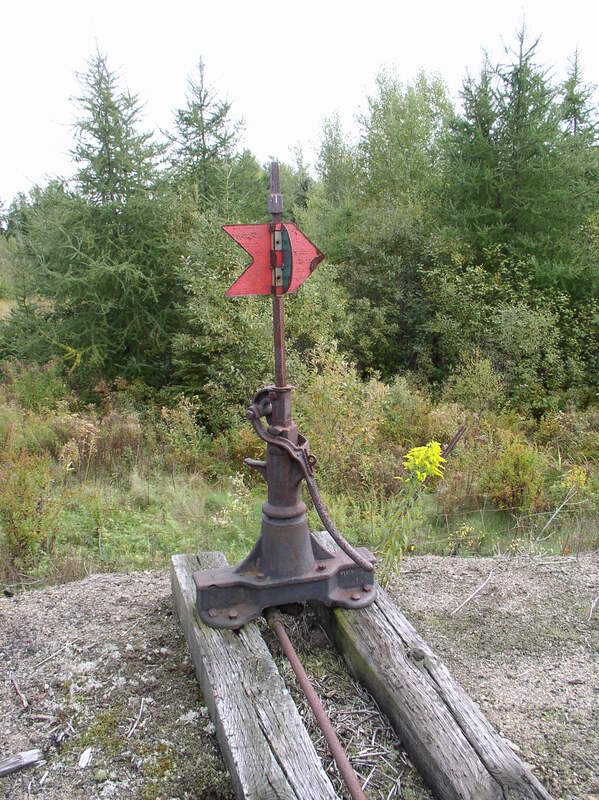 I have used the Caboose Industries stands on my former railroad and although I liked them, I feel they are less than robust for my new venture. Therefore I have selected the stand made by Jim Harper under the name of Red Cliffs Miniatures. It is made from soldered brass and quite strong. The downside is that it is a more open base design instead of the more solid cast base. In looking at the MEC stand I am almost tempted to make patterns and cast my own because it is such a distinctive design. I can see that taking much more time than I have to build the railroad, therefore I have decided to compromise. There, I’ve confessed that I’m not perfect and hope that you will all forgive me. Today I am assembling switch stands while I wait for the bench work construction to begin. The stands are brass kits sold by Red Cliffs Miniatures aka Jim Harper. Both components will assemble into working stand that is quite close to the prototype. The fun of operation is that they work like the real ones. Lift the handle, rotate the shaft, and put the handle down again into the notch. If you are new to this blog and my desire to re-create the Eastport Branch, I invite you to take the time to review some of my earlier writing that was done prior to our move to SC. The reading of that material will give you a better idea of the project. You will find it on the OST Forum maintained by O Scale Trains magazine. 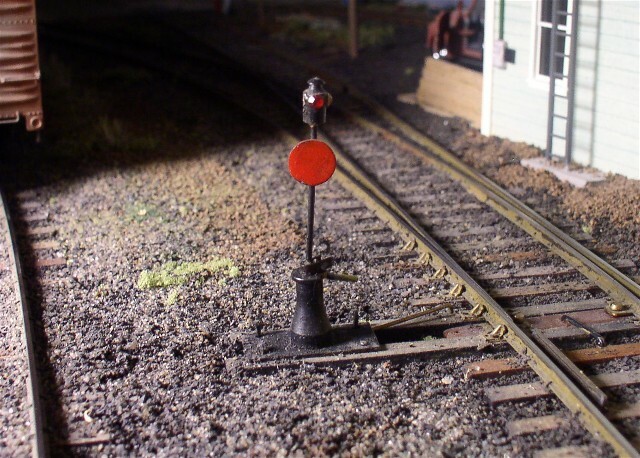 Look in the Proto48 section, topic- MEC layout construction. I wish you all a great Thanksgiving. I have finally begun the project on the ground and have gathered the bench work support materials and have gotten the tools more organized. It has taken quite a while since the move to even find some of the packed items. Today I printed off a bunch of photos to hang on the wall as inspiration and reminders of what things are supposed to look like when I am finished. It’s a small start to be sure but at least I feel great about having finally begun. I fear my modeling is a bit rusty (probably more like corroded) but I look forward to diving in. This blog is off to a rather shaky start as well, but I am sure with a bit of experience and some help it will get much better.